This is a great article on Mercola.com. �And it is much more comprehensive than we could report here so read it on their site. �I love having the conversations about cholesterol, and the profit mongering system that follows it. �This is the reason why anyone with cholesterol concerns should think twice. �Be sure to follow the link to Merocola’s site to read it all! 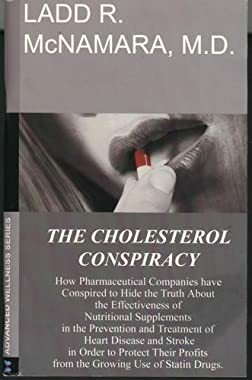 The incorrect idea that high cholesterol causes heart disease has led to the demonization of entire categories of extremely healthful foods (like eggs and saturated fats), and cholesterol has been falsely blamed for just about every case of heart disease in the last 20 years. Fat and cholesterol are commonly believed to be the worst foods you can consume. Please understand that these myths are actually harming your health. Not only is cholesterol most likely�not�going to destroy your health (as you have been led to believe), but it is also�not�the cause of heart disease. Chris Kresser, L.Ac., an acupuncturist and a licensed integrative medicine clinician, has investigated risk factors for heart disease and promotes the use of a relatively novel way of assessing your heart disease risk based on your LDL particle number. He�s currently writing a book about this topic for the Paleo ancestral health community. His interest grew from losing his grandfather to heart disease several years ago. His grandfather�s case was badly mismanaged, which spurred Kresser to learn more about what really causes heart disease. A few years later, while in graduate school studying integrative medicine, he did a semester-long research project on the relationship between cholesterol and heart disease. Since then, he�s read about 750 peer-reviewed studies, consulted with numerous experts in the field, and has challenged everything he thought he knew about the role of cholesterol in heart disease. Over the last several years, he�s been sharing that information on his blog, in his podcast, and in educational seminars and programs. For the past 50 years, you�ve been told that eating saturated fat and high-cholesterol foods will raise cholesterol serum levels. However, research published over the past 10 or 15 years suggests that�neither�of those statements are true. Furthermore, the typical cholesterol tests your doctor prescribes, which are supposed to measure your risk for heart disease, don�t actually do a very good job of predicting your risk. You can have low or normal LDL or total cholesterol and still be at high risk from heart disease. Alternatively, you can have high or normal total or LDL cholesterol yet be at low risk. Subsequently, many are not getting enough treatment, and others are getting too much. �We�ve learned a lot about what causes heart disease over the past 10 years,��Kresser says. �But unfortunately, that knowledge hasn�t really trickled down into the mainstream yet. So, your average general care physician, primary care nurse, or even science writer that�s writing for the mainstream media is still operating on information from the old paradigm. The INTERHEART study, which looked at heart disease risk factors in over 50 countries around the world, found that 90 percent of heart disease cases are completely preventable by modifying diet and lifestyle factors. As Kresser points out, we clearly need a new approach that�s based on more current evidence. �The problem, of course, that we face is that the old paradigm is so entrenched. The idea that cholesterol and saturated fat are bad for us is so deeply engrained in our society that a lot of us don�t even question that anymore. One of the main problems there is the massive conflicts of interest in the medical profession. We have a situation where two-thirds of medical research is sponsored by pharmaceutical companies. Eight out of nine of the doctors who are on the National Cholesterol Education program that write the guidelines for cholesterol receive money from pharmaceutical companies,��he says.